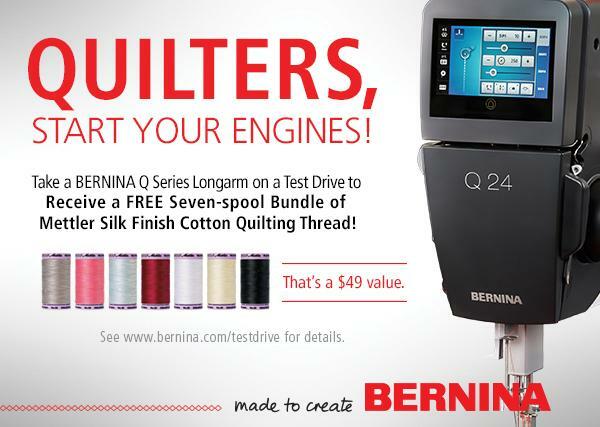 Q20 Sit-Down Longarm Test Drive Offer – Free Thread Pack $49 Value! Come see this amazing sit-down longarm machine with a beautiful, customizable Koala table. Finish your quilts in a flash with plenty of room to spread them out on the 80″ work surface. This machine will be made available for rental after a mandatory training session. Your rental fees will be applied to purchase if you decide to take one home. Optional frame can be purchased if you want to convert it to a stand-up machine.